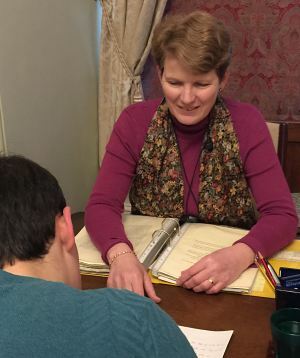 Initial screening for dyslexia - £50. The initial dyslexia screening is a shorter session which can help you decide whether to have the diagnostic assessment. It involves asking you some questions and the completion of short tasks. At the end of it, the assessor will discuss with you the likelihood of you being dyslexic or not. A short report is produced. Diagnostic assessment - £295. Children ten years and under - £250. Assessments are carried out at one of the centres and can be arranged at a time to suit you, including weekends and evenings. The assessment lasts for about three hours. It involves talking about strengths and weaknesses, schooling, coping strategies etc, and also the completion of different tasks. These will measure attainments in areas such as reading and spelling, underlying ability, and cognitive processing. A detailed report will be available within two weeks. This will include the assessor’s diagnosis, information on strengths and weaknesses and any appropriate recommendations. Reports meet the necessary criteria to support an application for Disabled Students’ Allowances (DSA) and, for those in employment, Access to Work. Initial screening for Attention Deficit Hyperactivity Disorder (ADHD) - £30 Although ADHD used to be considered a condition which children outgrew, it is now recognised that it often persists into adulthood. In fact it is not uncommon for it to co-exist with dyslexia and other Specific Learning Difficulties. There are three subtypes of ADHD - Inattentive (previously called ADD); Hyperactive/Impulsive; and Combined. ADHD is pervasive in that it effects many aspects of your life and can cause significant difficulties with work, education, relationships etc. This screening involves talking about your difficulties and experiences now and as a child and completing a screening checklist. At the end we will discuss the likelihood of you having ADHD and, if appropriate, a referral route for a diagnostic assessment. A report is produced after the screening. Initial screening for Autistic Spectrum Disorder - £30 This screening also involves a discussion about past and current difficulties and completing a checklist. Afterwards we will discuss how 'at risk' of being on the autistic spectrum you are and, if appropriate, a referral route for a full assessment. Understanding your diagnosis and a positive way forward - £30 per session After receiving a diagnosis many people experience a mixture of all sorts of feelings. Sometimes this can initially be relief as they have an explanation for their difficulties. Later on, people often report feeling angry when they remember the things that have been said to them like, 'Try harder next time', 'Don't be so lazy' etc. They may also experience sadness and frustration at lost opportunities and much lower exam grades than expected. Sometimes people feel different and isolated. Receiving a diagnosis can be very positive, however, and we all know of many successful people who have a condition such as dyslexia, ADHD and autism. 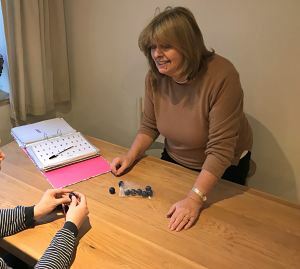 We offer up to three one-hour individual sessions to help you explore and understand the impact of your condition in the past, what the diagnosis means to you now, and the way forward. 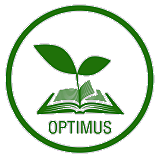 You do not have to have had the diagnosis carried out by Optimus to use this service.